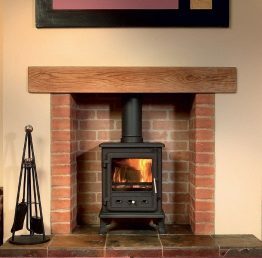 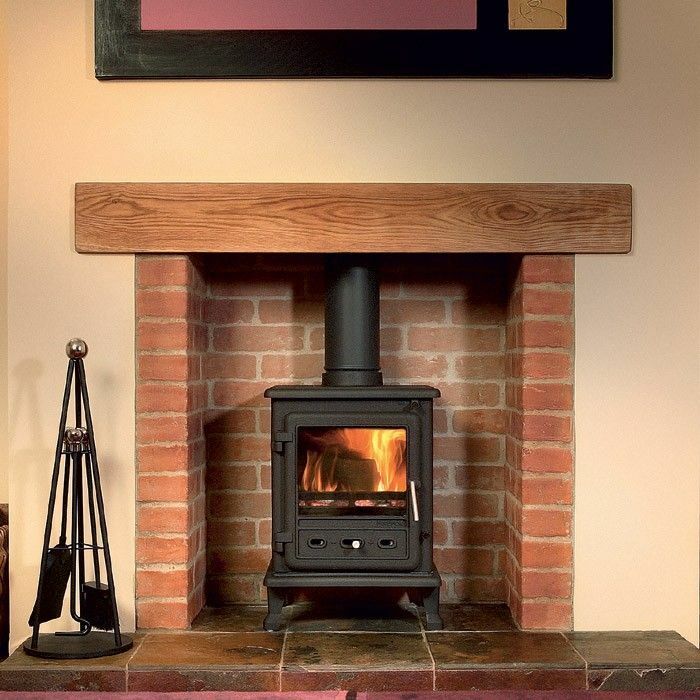 The Firefox 5 Cleanburn woodburning and multifuel Stove is one of the newest additions to the Gallery range of stoves. 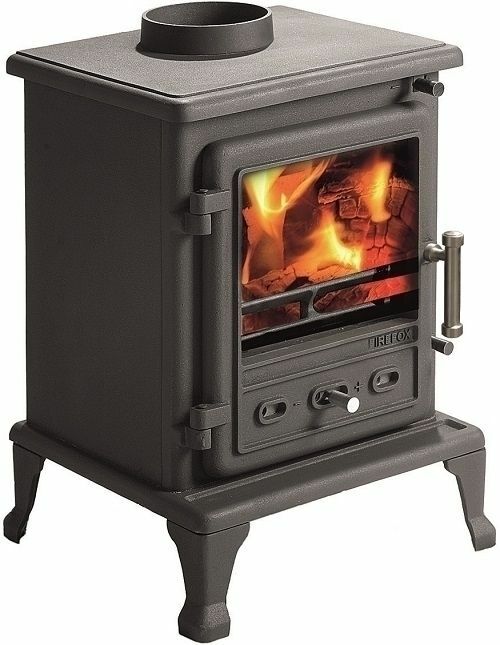 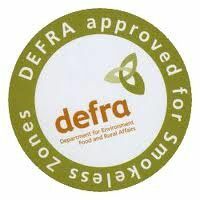 The Firefox 5 is a wood burning and multifuel stove that is DEFRA approved so it can be used in smoke controlled areas. 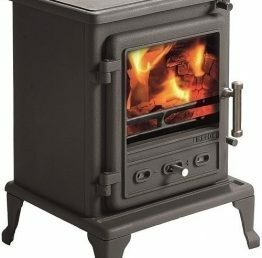 See also the Firefox 5 Classic Cleanburn which has a more square look to it than the standard Firefox 5 stove, the door is different and the window is not rounded at the corners. 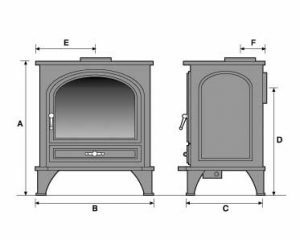 It has a nominal heat output of 4.9kW and is a multifuel stove suited to the smaller room but also capable of wood burning. 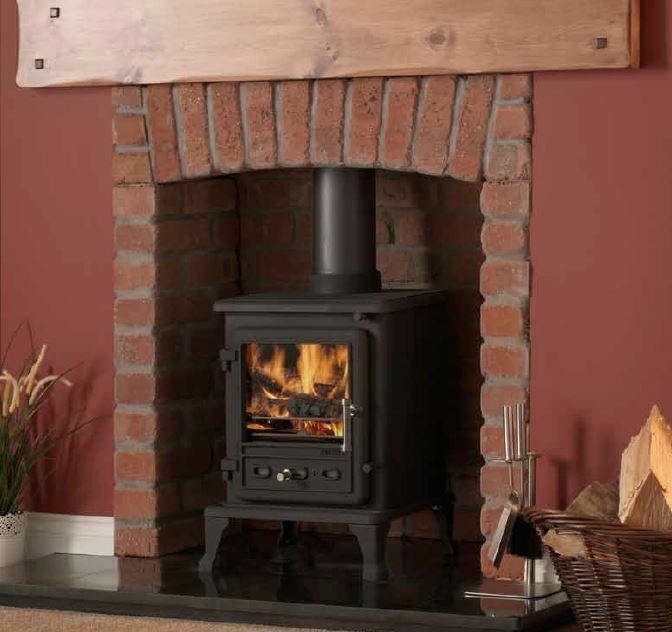 Its robust looks, 5.0kW output and large viewing window make it suitable for most room settings.